As the birthplace of Experience Travel Group, Sri Lanka is a country close to our hearts. What we love about holidays in Sri Lanka could fill a book, but let’s just say the white beaches, the atmospheric ruins, the mouth-watering array of curries and the verdant rainforests are a good place to start. For its relatively small size, the tear-shaped drop in the Indian ocean is perhaps the most diverse island in the world. 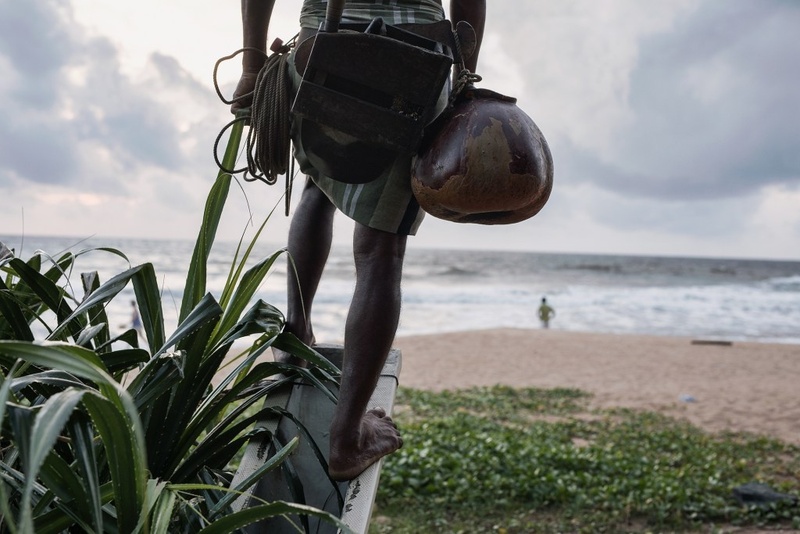 All across the country – the historic port of Colombo, the remote communities of the North, the ancient Cultural Triangle, the misty tea plantations and laidback beaches of the south – our knowledge is unrivalled. This page is designed to help you decide if a holiday to Sri Lanka might be right for you. With ETG, your trip can be as intrepid as you like, as luxurious as you choose: whatever will make it magical in your eyes. The Cultural Triangle is the area roughly between Kandy to the south, Anuradhapura to the north-west and Polonnaruwa to the east. It was the cradle of the ancient Sinhalese civilisation that flourished 2,500 years ago. It is a wonderful region to visit, with abundant monuments in close proximity spanning a period of 1,700 years. an obvious choice for a first night if you are heading north to the Cultural Triangle, or inland towards Kandy. The busy town and beach resort of Negombo is a good option near the airport, but we usually recommend one of the hidden-gem properties found in the smaller surrounding towns. Kandy is Sri Lanka’s second city and the capital of the ‘hill country’. Steeped in ancient history and legend, it sits majestically at the foothills of the mountains. The town is diverse, creative and a must see for many visitors to Sri Lanka, with beautiful temples, botanical gardens and a bustling, energetic atmosphere. In August, Kandy hosts the Esala Perahera – Sri Lanka’s greatest, most colourful and magnificent festival. Read: Sri Lanka City Guide: Kandy or Colombo? The ‘hill country’ is the name used to describe the mountainous regions in the centre of Sri Lanka. Covered with tea plantations and national parks, this vast expanse is home to some of the most unique and historical accommodation in the country, and the cool climate provides a welcome contrast with the often scorching coastline. The area stretching south from Colombo towards Galle was one of the first to be developed for tourism in the 1970s and whilst some of the resort towns are dominated by “package holiday” style resorts, there are some beautiful hidden gems too. Galle is the capital of the south and one of Sri Lanka’s most cosmopolitan places. With a spectacular setting on the south-western tip of the island, Galle is surrounded by palm-fringed beaches and forest-clad hills. The city has had a chequered and varied history; a plethora of influences and cultures having crossed paths over the centuries. Famous for its 17th-century Dutch fort, the old part of the city is home to some of the island’s best craft shops, restaurants and bars, and some of its best accommodation. The area north of Colombo is a secret treasure trove long left untouched by mass tourism. Thinly populated by a fascinating mixture of cultures and religions, this area is beautiful and wild, with looming rocks rising sharply from the earth and dreamy wewas (reservoirs) with abundant birdlife circling overhead. The area has several nature reserves including Wilpattu National Park, which has unique scenery and ora combined with a very healthy leopard population. and Arugam Bay to the south, while the coastline features miles of spectacular beaches. Batticaloa is a fascinating town, while Pasikuda is the most famous of the beaches – with its wide sandy bay you can see why. 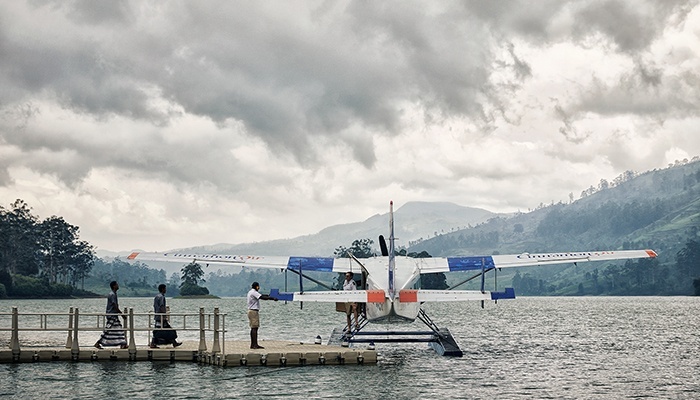 Travel in the north of Sri Lanka is a true adventure. The islands around the peninsula are particularly interesting and the intrepid traveller will be rewarded with a fascinating insight into this historic region. The northern peninsula has very modest infrastructure outside of Ja na town. If you want to visit this fascinating, vibrant and beautiful area, please contact us. We will be able to discuss options with you and help you discover the best of the region. There is a lot worth seeing! WHICH HOLIDAY STYLE SUITS YOU? WanT To find The real sri lanKa? If you are a first time visitor to Sri Lanka or are looking for a holiday that gives you Sri Lanka in a nutshell, we can craft a bespoke “classic” holiday that will give you a sense of how much diversity there is in such a small area, taking in the ancient cities, some wildlife, the hill country, delicious food and a lovely beach stay. You will be escorted by your own personal chauffeur-guide – an expert in the country’s cultural history. You’ll fly into Colombo and then perhaps travel to the Cultural Triangle to take in historic sites like Sigiriya rock fortress and the ancient city of Polonnaruwa, and perhaps a safari in Minneriya National Park, famous for its elephants and in particular the phenomenon known as “the gathering”, where hundreds of elephants come together between July and September. Travelling south you’ll come to Sri Lanka’s cultural capital, Kandy, where you can enjoy its sumptuous botanical gardens and sacred Temple of the Tooth Relic (home to Buddha’s tooth!) You’ll travel onwards through the cooler hill country with its spectacular vistas and visit a working tea plantation. When you reach the south coast you‘ll have time to kick back for a few days on its palm-fringed tropical beaches. All our holidays are tailor-made. 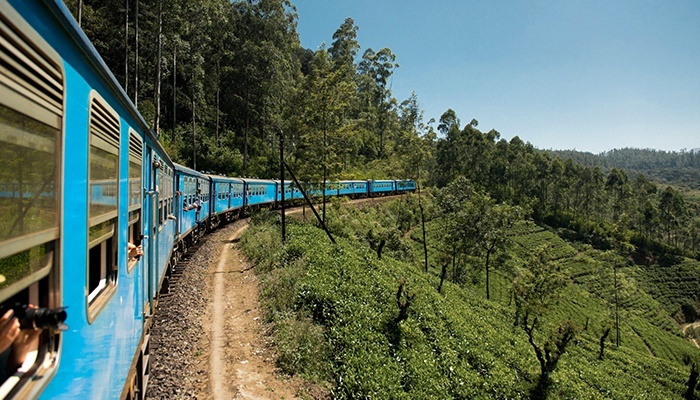 Our consultants will take the time to get to know your style and interests, and help you plan a “classic” Sri Lanka holiday with accommodation, tours and guiding suited specifically to your needs and the time of year you’d like to travel. relaX – do you Prefer minimal Travel and hoTel Changes? Sri Lanka is a small country with characterful hotels and a laid-back way of life, so it’s a great place for relaxation without missing out on the local culture. 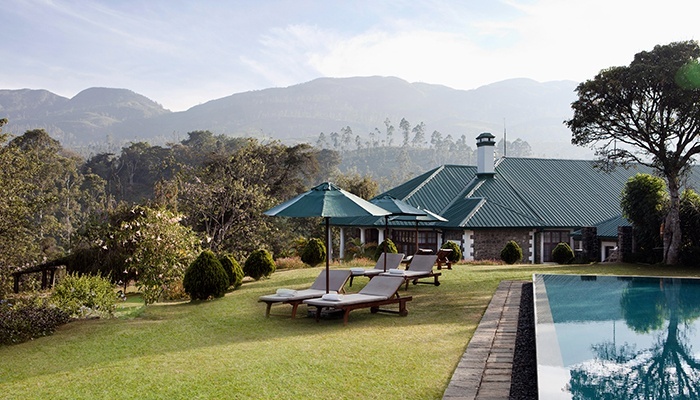 If a low-key trip ambling through the Cultural Triangle, breathing in the fresh air of the hill country and relaxing steps away from the Indian Ocean sounds like the right pace for you, then our consultants know distinctive accommodation where you’ll feel relaxed and pampered yet immersed in the region. Explore – are you a naTural eXPlorer? Whenever you veer o the beaten track, Sri Lanka offers the opportunity to balance adventure with style and comfort, and ETG’s insider knowledge will give you a head start as we’ll let you in on the whereabouts of hidden eco-lodges flanked by lakes and brimming with birdlife, far- flung beach retreats nestled in the forests and brimming with character, or local homestays where you can experience true Sri Lankan life with a local family. From the jungles of Puttalam and the remote Mannar peninsula in the north to Kuchaveli on the east coast, large swathes of Sri Lanka are relatively undiscovered, so it’s a brilliant place to explore, totally away from the crowds. naTure – a Passion for Wildlife? 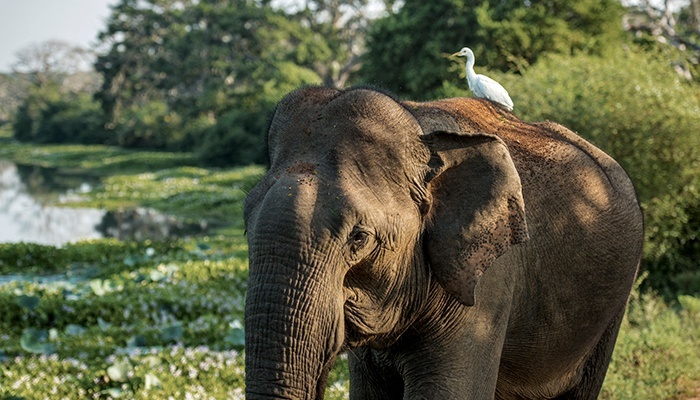 Sri Lanka has an astonishing variety of wildlife including elephants, blue whales, leopards, sambar, mongooses, langur monkeys and thousands of local and migrating birds, its incredible nature parks offering a real opportunity for discovery. Some of the more obvious wildlife routes can be blighted by traffic, but we’ll steer you in the opposite direction of the jeep-jams to experience a true wildlife encounter with animals in their natural habitat. With abundant birdlife, butterflies and mammals galore, Sri Lanka is a terrific destination for wildlife lovers, and whether you want a holiday totally focused around animals and nature, or just a short glimpse of a leopard en route to the beach, at ETG we know the best ways to make your experience special. hisTory – a hisToriCal fiend? If you have a personal connection to Sri Lanka’s past, or just want to experience a sense of the country’s colonial period, there are many ways your holiday can be enriched. With vintage cars, striking architecture or a simple cup of freshly plucked tea, you can get a real sense of the country’s history. Your trip can be tailored to include a guided tour around the trading port of Galle, a stay at a colonial tea planter’s bungalow at Tea Trails resort, or an adventure to the Dutch fort at Trincomalee, or perhaps a more personal pilgrimage if you have a family history in Sri Lanka. With distinctive accommodation such as ancestral homes, plantation bungalows and restored architectural landmarks, Experience Travel Group have always extolled the virtues of Sri Lanka’s many intimate character hotels and villas. Knowing Sri Lanka as well as we do, we can offer you even the most tucked-away gems, and we’re always exploring to find new and exciting places. Whether you’re looking for luxury at the beach or an eco-safari lodge, our expert consultants can suggest the most suitable and interesting property to fit your travel style. January onwards is traditionally the best time to visit any part of the country; it’s green and lush following the monsoon, but generally basking in sunshine and relatively dry. Temperatures will be warm, although a little cooler in the hill country. Beaches on the south and west coasts are dry, hot and sunny – it’s a great season for swimming. The south-west monsoon blows through May to mid-July but, as the name suggests, it only affects the south-west quarter of the country in areas such as Colombo and Galle. It is gentler than the north-east monsoon that comes later in the year so when there are showers they are usually short and sharp. This is known as the “inter-monsoon” season, meaning that, spare the odd shower, the weather is usually great. Temperatures are high – averaging around 29°C– and the beaches are hot and dry. All in all this is a great time to travel. The north-east monsoon blows from October to December and is the heavier of the two monsoons. It affects the entire country and is rather unpredictable: it can be strong, light or sporadic and sometimes never comes at all. December is usually a good month to travel, with weather similar to January once the north east monsoon winds have passed. However, occasionally we have seen heavy rain in December. This is the million dollar question. The best advice we can give you here is to speak to one of our experts, who all know the coastline inside out and can help you select the best location for your stay. The varied weather patterns, facilities and conditions mean that there is a beach for every season and every personal preference. Galle is one of the first resorts that spring to mind when people think about a Sri Lankan beach holiday. Funnily enough, the sleepy old port town is surrounded by excellent beaches – but has no beach itself. This means it’s a great base from which to explore a variety of local beaches rather than being limited to one, and it has superb restaurants and great shops, as well as a choice of great hotels. Unawatuna, Thalpe and Wijiya have a range of excellent accommodation and good beachside dining. There are places to swim in the sea that are sheltered and therefore safe most of the year. These beaches are particularly brilliant for small exclusive boutique hotels. 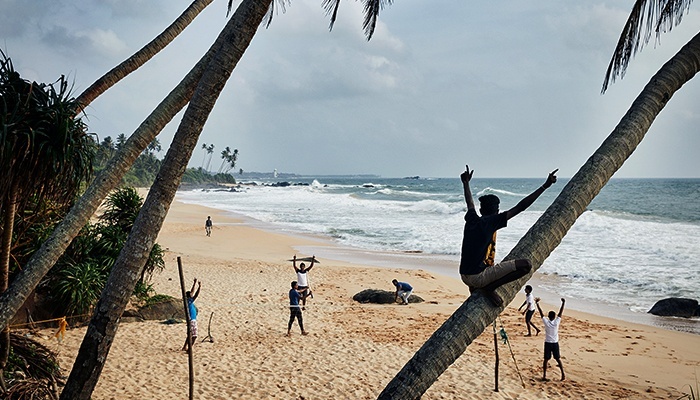 These are the famed beaches stretching from Colombo down to Galle – wide, sandy and palm-fringed. Bentota Beach beach is the most famous; designated a tourist development location back in the 1970s, it has thrived ever since. If you want water sports, busy hotels, restaurants and day trips laid on, this is the place to come. Mirissa has a fine bay with a slight backpacker vibe, but fun and pretty. Further on down the coast there are miles of golden sand beaches, with Talalla a particular standout. In the Tangalle area there are many fine beaches, with Mawella reckoned to be the best. Tangalle itself is quiet and sleepy with a selection of fine hotels and miles from the crowds of the west coast, making it the perfect resort for many. A relatively new destination for beach holidays in Sri Lanka, the east coast actually has the best beaches in the country, and certainly the best sea swimming. Trincomalee has a beach, but as a large town it is not really a beach resort as such (yet!) However, just north of Trinco are the famed sandy stretches of Upaveli and Nilaveli, and there are plenty of hotel options too. With lots to do around Trinco town it is a brilliant beach destination. Further north, Kuchaveli is still wild elephant territory, but there is some limited development including the gorgeous and secluded Jungle Beach Resort. A couple of hours drive to the south is the famous Pasikuda Bay. It is revered by Sri Lankans, largely because of its wide, gently sloping bay, which makes sea swimming safe year round and in season provides the kind of at azure waters people dream about. It used to be quiet too – but now there are many hotels springing up. of fresh coconut milk, and with southern Indian cuisine as they both use particular dried spices. Old trade routes inspired local recipes too, so you’ll find Arabian, Malaysian, Portuguese, Dutch and British influences. Despite being the result of a cultural smorgasbord, Sri Lankan food is invariably distinct and once you’ve visited, the mere scent of curry leaves will whisk you back to your holiday. Feeling hungry? See ETG consultant Toni's Top 5 Sri Lankan Dishes. to soften the blow of the chilli, followed by a delicious pudding such as fried bananas with mango ice cream. Around the coast expect to see fresh prawns and calamari being hauled in by local shermen, ready to be cooked up with fragrant spices for dinner at a local eatery. Sri Lanka is a great destination for vegetarians too as dhals and fresh vegetables are abundant. 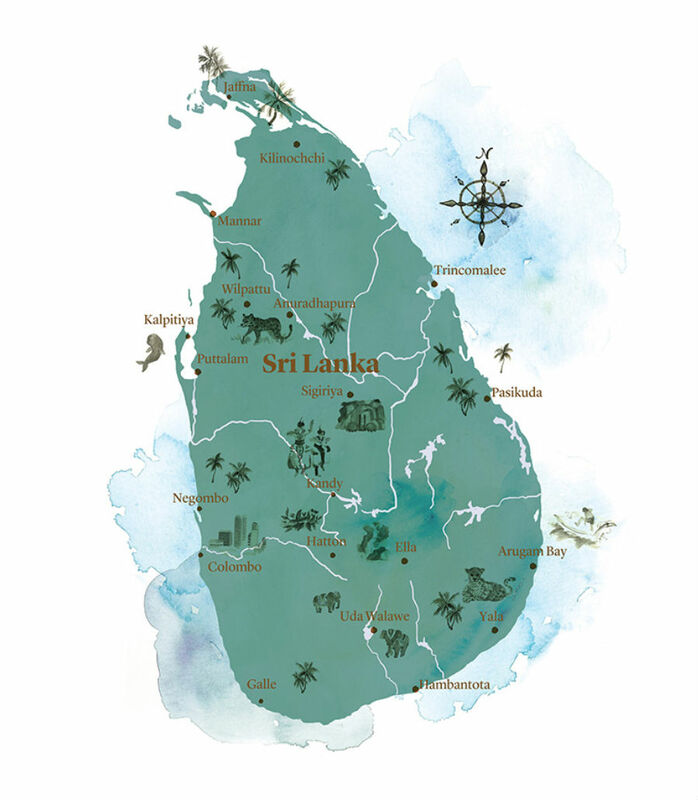 There are many opportunities to learn how to cook Sri Lankan food and it’s worth taking some Sri Lankan spices home to experiment with in your own kitchen and bring back the flavours of your holiday. 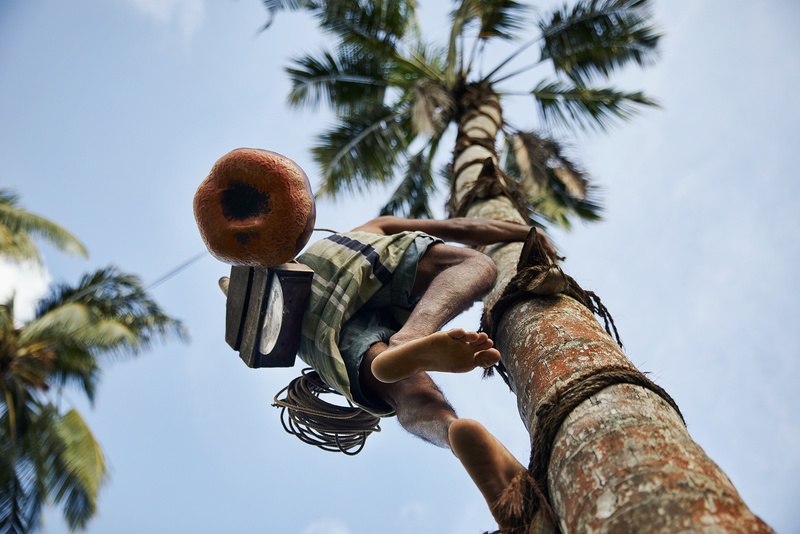 Coconut water is the staple refresher and coconut palm sap, tapped from the unopened owers, produces Toddy, a mildly intoxicating drink with sweet and sour undertones. For the brave hearted, there’s a stronger version of Toddy called Arrack, which is Toddy fermented to create a drink reminiscent of whisky and rum. It’s loved by locals, best drunk on the rocks and is famously potent –don’t say we didn’t warn you! Sri Lanka is a relaxed country where a sense of humour will help in any tricky situation. As with all foreign countries, you’ll impress locals and make friends quickly if you have some phrases in the local language up your sleeve. Three to remember include ‘Ayubowan’ (good day), ‘Istuti’ (thank you) and ‘Ras-i’ (delicious). You’ll also notice that many people talk with an accompanying head wobble, a gesture that comes hand-in-hand with a measured outlook on life. The head-wobble has several meanings, but it usually signals agreement. Mastering the movement can take years of practise – just loosen up your neck muscles, pretend that your chin is a pendulum and move your head from left to right! With limited transport options in Sri Lanka, a chauffeur-guide is a necessity and will be an important part of your holiday experience. You’ll generally have the same guide throughout your tour, so it really matters that you get the right one. At ETG we’ve adopted a different process for recruiting guides to the majority of our competitors. We do not source our principle chauffeur-guides through agencies. Instead your guide will be an important member of our team, who has been directly trained by us and understands our unique style. He will be motivated by a desire to give you a genuine sense of this famously friendly country, rather than simply being a taxi driver. Whether getting you to the sites at the right time of day, or stopping at the best roadside stalls to taste king coconut, fried pancakes or fresh fruit, we will ensure that your chauffeur-guide is committed to enriching your experience of this wonderful country.